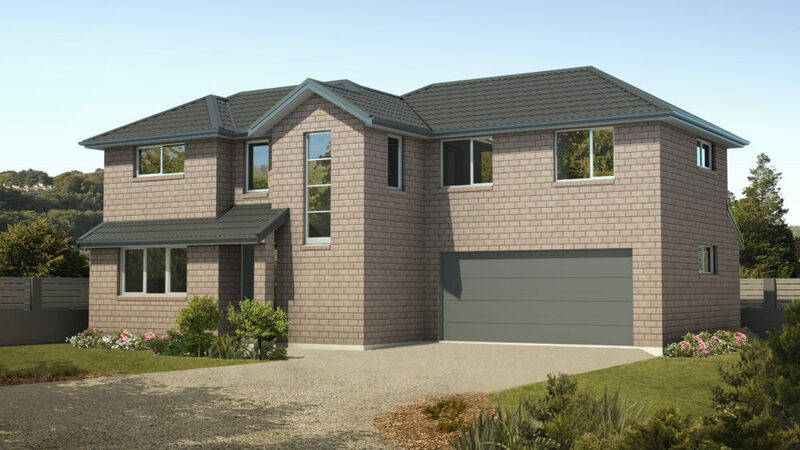 This 2 story 4 Bedroom home comprises a Master Bedroom with Ensuite and Walk in robe. 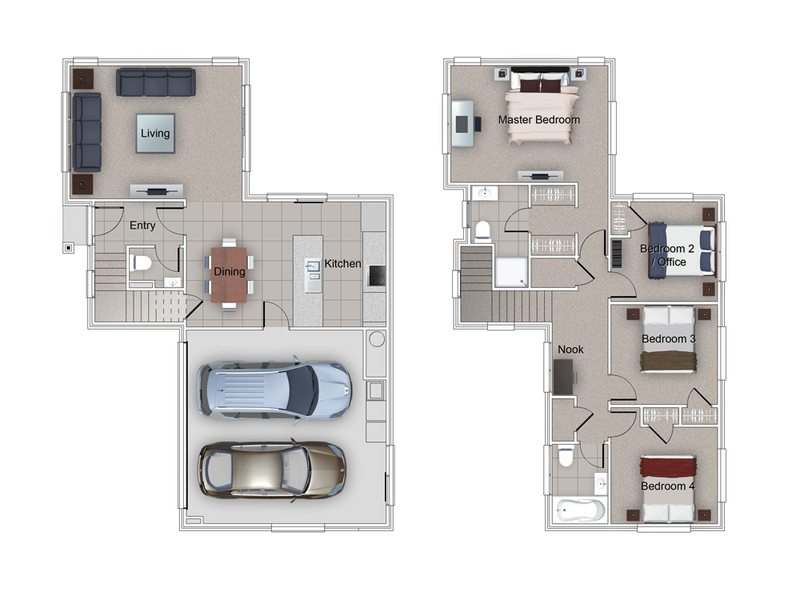 The ground floor includes a double garage with laundry, guest toilet and a family bathroom. Plus a lovely open plan kitchen, dining and living area with great indoor/outdoor flow. The Kingston can be built as a stand alone home or be built as a duplex (twin) housing structure. Get in touch to learn more. Gable roof to front facade provides lots of natural light.